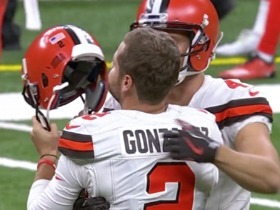 Gonzalez connected on nine of 14 field-goal attempts and eight of 11 point-after tries in seven games between the Browns and Cardinals in 2018. Gonzalez made one of his two field-goal attempts and missed his only extra-point attempt in Sunday's loss to the Rams. Analysis: Gonzalez tallied just three of a possible seven points Sunday, though his missed field goal was from over 50 yards. 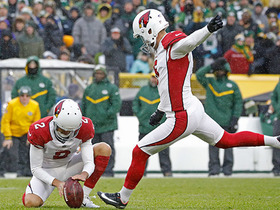 Since joining the Cardinals in Week 13, Gonzalez has made four of five extra-point attempts and four of six field-goal tries. Gonzalez converted both of his extra-point attempts during Sunday's 40-14 loss to the Falcons. 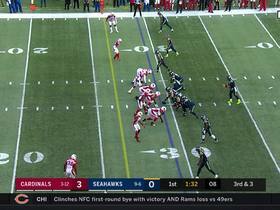 Analysis: Gonzalez didn't attempt a field goal Sunday, as the Cardinals struggled to move the ball with much efficiency. 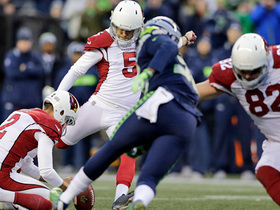 The second-year kicker has made 75 percent of his kicks since joining Arizona's active roster. Gonzalez made one of two field-goal attempts in Sunday's loss to the Lions. Analysis: Gonzalez converted a 22-yard attempt in the fourth quarter after hitting the left upright on a 54-yard try earlier in the contest. It is Gonzalez's first miss as a Cardinal, and he is now 5-for-9 on field-goal attempts this season in stints with the Browns and Cardinals. Gonzalez converted both field-goal attempts and both extra-point tries during Sunday's 20-17 win over the Packers. 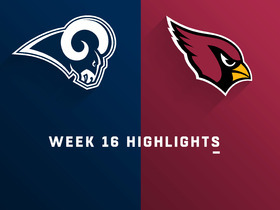 Analysis: Gonzalez showed well in his first start for the Cardinals, converting two field-goal tries of over 40 yards during the Week 13 win over the Packers. The second-year pro out of Arizona State has a good opportunity to turn his NFL career around if he's able to continue performing well down the stretch, but he remains difficult to trust for fantasy purposes. The Cardinals signed Gonzalez off their practice squad Monday, Darren Urban of the team's official site reports. The Cardinals signed Gonzalez to their practice squad Tuesday, Darren Urban of the Cardinals' official site reports. Analysis: Gonzalez was added to Arizona's practice squad in order to provide depth for Phil Dawson (hip), who missed Sunday's contest against the Raiders. 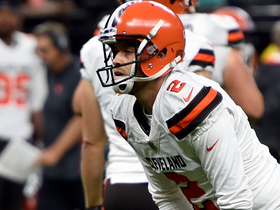 The second-year kicker was cut by the Browns in September after repeated struggles. Gonzalez had been kicking with a slightly torn groin before the Browns released him in September, Adam Schefter of ESPN reports. The Browns will release Gonzalez (groin) following his early-season struggles, Mary Kay Cabot of The Cleveland Plain Dealer reports. Analysis: With Gonzalez struggling out of the gate, team moved on from the 2017 seventh-rounder Monday by adding Greg Joseph, who spent the preseason with the Dolphins in the wake of a strong college career at Florida Atlantic. Gonzalez will undergo an MRI to evaluate his groin injury Monday, Adam Schefter of ESPN reports. Analysis: Gonzalez played with an injured groin that likely impacted him Sunday, when he missed two field goals and two extra points in a three-point loss to New Orleans. At this point, he appears to be in line for the waiver wire with an injury designation or placement on injured reserve as Cleveland looks to improve at the position. The Browns are expected to move on from Gonzalez and add a new kicker to the roster ahead of Thursday's game against the Jets, Adam Schefter of ESPN reports. Gonzalez missed two of four field goals and two extra-point attempts during Sunday's 21-18 loss to the Saints. Gonzalez missed a game-winning field goal in overtime during Sunday's 21-21 tie with the Steelers. He also converted all three extra-point attempts. Analysis: With 13 seconds left in overtime, Gonzalez's potential game-winning field was blocked by T.J. Watt, forcing a tie. Though the rain was a factor, Gonzalez's kick was rather low, making it an easy target to block. It remains to be seen how long of a leash the Browns give Gonzalez after struggling mightily during his rookie season in 2017, but one would assume the team has faith in him after he beat out Ross Martin in camp. Gonzalez beat out Ross Martin for the kicker job, Andrew Gribble of the Browns' official site reports. Analysis: The Browns released Martin on Tuesday, but they could still take a look at what else is available around the league in the coming days. Given that he missed five of his 20 field-goal attempts as a rookie last year, Gonzalez seems unlikely to end the lengthy streak of fantasy irrelevance for Cleveland kickers. Gonzalez was beaten in a kicking drill by Ross Martin on Sunday, Nate Ulrich of The Akron Beacon Journal reports. Analysis: Gonzalez, the Browns incumbent kicker, has performed well in the preseason but was bested on Sunday. Each kicker had five field goal attempts, one each from 34, 38, 40, 45 and 53 yards. Gonzalez went three of five, missing from 34 and 53 yards out, while Ross Martin went four of five, missing from 38. Despite the outcome of the kicking battle, Gonzalez is coming off a preseason game that saw him hit a 54-yard field goal and he's still the favorite to be the Browns' kicker come Week 1. Head coach Hue Jackson dubbed Gonazlez's 54-yard field goal against the Eagles "impressive" Friday, Scott Petrak of the Elyria Chronicle-Telegram reports. Analysis: Gonzalez continues to distance himself from fellow kicker Ross Martin in the battle for the Browns' starting kicker job. The 23-year-old was called upon for Cleveland's only field-goal attempt against the Eagles, and accounted for the team's only offensive points by nailing the tough 54-yard try. A seventh-round pick last year, Gonzalez seems the odds-on favorite to serve as the Week 1 kicker. Gonzalez seems to have distanced himself in the battle for the Browns' starting kicker job, Nate Ulrich of The Akron Beacon Journal reports. Analysis: Gonzalez is currently competing with fellow kicker Ross Martin for the starting job, and the two had a kicking competition during Monday's practice. Gonzalez went 5-for-5 on his attempts, while Martin missed two that hit each upright. Head coach Hue Jackson took the competition very seriously, saying while game performance is what matters, performance in practice is an indicator of what could happen in a game. Gonzalez will compete with Ross Martin during training camp for the Browns' placekicking duties, Andrew Gribble of the team's official site reports. Analysis: A seventh-round pick last year, Gonzalez converted just 15 of 20 field-goal attempts and 25 of 26 extra-point tries as a rookie. He'll now need to beat out Martin, who spent the past two offseasons with the Jets but never made it on the 53-man roster. Neither kicker warrants draft consideration in most fantasy leagues. Gonzalez, who converted a 51-yard goal during Sunday's 28-24 loss to the Steelers, ends his rookie year by making 15 of 25 field goals. Analysis: Gonzalez beat out Cody Parkey during training camp and struggled mightily to start his career. He missed three of his first five field goals, and there were rumors that the Browns would be trying out kickers to replace him. That never happened, and Gonzalez showed more consistency toward the end of the season, making seven of his last eight attempts. Gonzalez made a 48-yard field goal in Sunday's 20-3 loss to the Bears. Analysis: Gonzalez made his lone attempt, accounting for Cleveland's only points. His season, where he's only made 14 of 19 field goals, mercifully, will come to an end following this Sunday's trip to Pittsburgh. Gonzalez made a 45-yard field goal during Sunday's 27-10 loss to Baltimore. Analysis: Though his attempts are still few and far between, Gonzalez has seemingly turned his season around after a rough start by converting six of his last seven field goals. The rookie kicker is 13 of 18 on the year. Gonzalez didn't attempt a field goal but converted all three of his extra-point attempts during Sunday's 27-21 overtime loss to the Packers. Analysis: Though the Browns were surprisingly able to move the ball against the Packers, none of Cleveland's drives resulted in a field-goal attempt. Gonzalez has just one attempt over the last two weeks and shouldn't be considered in any fantasy format. Gonzalez made his only field-goal attempt during Sunday's 19-10 loss to the Chargers. He also converted his lone PAT. Analysis: A week after hitting a career-high three field goals, Gonzalez had to settle for just one attempt, as the Browns reverted back to their old ways and had trouble moving the ball against the Chargers' stout defense. The rookie kicker is 12 of 18 on the year and has bounced back nicely after a rough start to his career. Gonzalez converted three of four field-goal attempts and his only extra-point try en route to 10 points in Sunday's 30-16 loss to the Bengals. Analysis: Gonzalez was one of few bright spots for the lowly Browns, as he set a new career high in points. Considering he still only sports 50 points on the campaign, though, it's clear to see his limitations. Gonzalez failed to attempt a field goal during Sunday's 19-7 loss to the Jaguars. He converted one PAT. Analysis: As long as Cleveland's offense sputters, Gonzalez will be far from a viable fantasy option. He has just eight field goals on the year and has attempted only three over past three games. Gonzalez knocked in his only field-goal attempt during Sunday's 38-24 loss to the Lions. He also converted all three of his PATs. Analysis: Gonzalez was successful on a 23-yard attempt Sunday, and his job should be safe for the time being. The rookie kicker is just eight of 12 on field goals on the season, and there was talk of the team trying out other kickers during Cleveland's bye week. That, however, never came to fruition, though another bout with inaccuracy could quickly change that. Gonzalez's job is seemingly safe for now, as the Browns have yet to work out another kicker, Nate Ulrich of the Akron Beacon Journal reports. Analysis: The rookie kicker has struggled mightily during his first season in the NFL, missing four of 11 field goals and one extra point. Per the report, however, coach Hue Jackson believes Gonzalez can work through his issues, and there's no immediate plans to bring in any competition. Los Angeles Rams running back C.J. 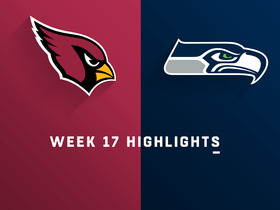 Anderson runs for over 150 yards and wide receiver Robert Woods scores twice in a 30-9 win over the Arizona Cardinals in Week 16 of NFL action. 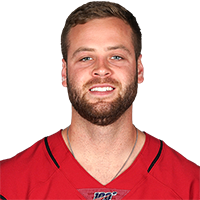 Arizona Cardinals kicker Zane Gonzalez makes a 44-yard field goal to take the lead. 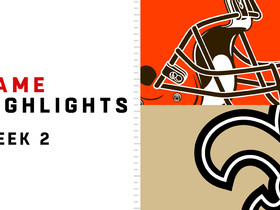 Watch the best highlights from the week 2 match up between the Cleveland Browns and the New Orleans Saints. The Browns, Packer and Vikings, now who have all played to tie games in 2018, had opportunities to win in Week 2. But special teams mishaps were the difference. 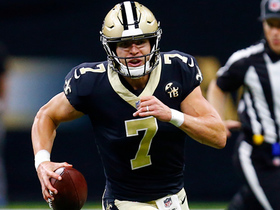 Saints quarterback Taysom Hill turns on the jets on huge kickoff return. 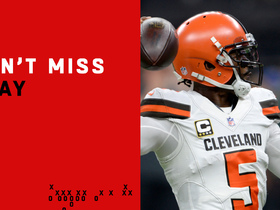 The Cleveland Browns throw up a prayer late in the fourth quarter and score on a 47-yard touchdown, but fail to take the lead with a missed extra point.